Here is top WordPress Plugins List for your blog to success. Contact Form 7 is the oldest, most trusted and popular WordPress contact form plugins that why its on the first place on our top wordpress plugins list. It has many features & comes with Google captcha integration. 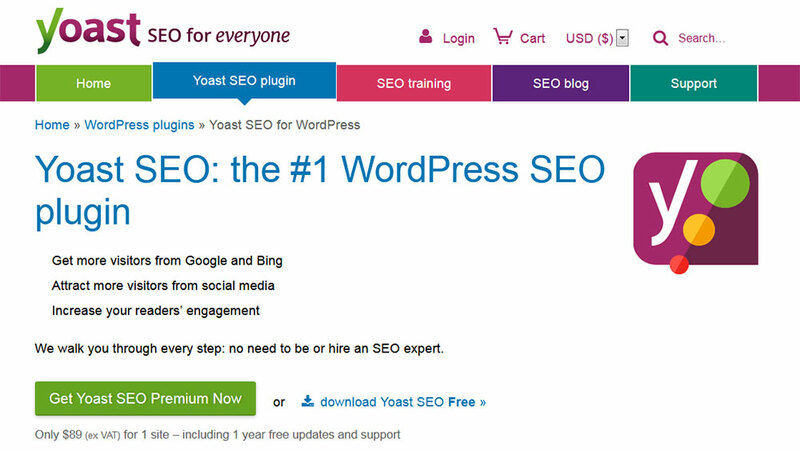 Yoast is widely used, most popular,almost installed on every WordPress side for SEO. It make SEO simple & easy. It Comes with both free & paid versions. Google XML Sitemap is a plugin that makes creating a sitemap of WordPress site easy. Sitemap of a WordPress is an important factor based on SEO. This sitemap is then submitted to the google webmaster for indexing. Jetpack is wp plugin by Automattic. It brings the functionality of wordPress.com website to your personal wordPress.org website. NextGEN is widely used for creating responsive Image Gallery for WordPress blog/website. It is a free and open-source image management plugin for the WordPress with awesome features. This WordPress plugin will help you to import WordPress content from a WordPress export file. The content may be posts, pages Comments, Custom fields and post meta, Categories, tags, and terms from custom taxonomies & Authors. Comet Cache is an advanced caching plugin to speed up wordpress powered website. This is another cache plugin by Automattic. This generates static HTML files from your dynamic WordPress website. Thus, your WordPress website becomes faster server as heavier PHP code is eliminated. WooCommerce is very popularopen source e-commerce platform. This plugin brings the features & functionality of woo-commerce to your wordpress website. This Plugin makes your WordPress website mobile friendly with just a few clicks. The is very helpful if you want to have the different version of the theme for mobile only while keeping your desktop theme unchanged. Wordfence is a popular plugin which protects your WordPress website blog, the website from spamming & defense from unusual threads. This plugin gives you the functionality to add, remove and arrange the buttons of the Visual Editor toolbar. This will add some new feature to Visual Editor Toolbar such as adding a table, more options for list insertion,search & replace, much & more. This plugin helps you to redirect your visitor to a customized coming soon page while you are upgrading the blog or website. This plugin is defined as the Most Complete WordPress Performance Framework. It helps in optimizing & improving the performance of WordPress website, on the way also optimize for SEO. This will let you scan & report broken links & missing images. It has the feature to edit broken link directly from the dashboard. ShareThis is an all in one button to share the content of the website with friends & relatives. It came with more exciting features custom settings to customize buttons as per your concern. If you want to show your facebook page to your WordPress website or blog then this plugin can do that. It is a social plugin that enables You to add Facebook Page to your website to attract and gain Likes from your website. Share Button is pretty easy just play & plug content sharing plugin for WordPress website. This plugins also feature share content to WhatsApp, which is visible on the mobile theme version. It also offers a follow widget too. This is a very useful plugin from MailPoet for email list building. This lets your reader to subscribe to your newsletter subscribers and build your mailing list, all without leaving your WordPress admin. This Plugin (YARPP) helps to displays pages, posts, & custom post types related to the current entry, introducing your visitors to other more relevant content on your site. With this plugins, you can grab more views on your website by providing related content related to the post. Redirection is the most popular free WordPress plugin for redirect management. You can easily manage 301 redirections, fix loose ends and keep track of 404 errors. This can help reduce errors, redirect unfound page URL to new URLs and improve your site ranking. With Advanced Custom Fields plugin you can fully control WordPress edit screens & custom field data. With this, you may add fields on demand, add them anywhere & then show them easy everywhere. With this plugin, you can add an event calendar to your WordPress site & manage it easily. This plugin lets you manage events directly from your WordPress dashboard. It comes with lots of features,it is easy to use and manage. As its name, this plugin helps you to post tweets directly from your WordPress blog/site to Twitter. It also features widgets to show your recent tweets to wp blog/site which are directly fetched from your tweeter account. Its also give you the ability to shorten URL with famous URL shortener or let Twitter to do it with t.co. With this plugin, you can use the existing content of your website for meta tags and Schema markup. There’s no need to manually re-enter descriptions, titles, product information, select images/videos, etc. 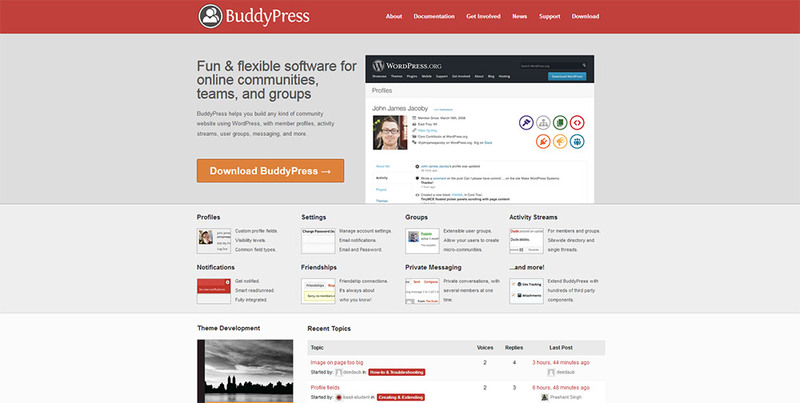 BuddyPress is a wp plugin with which you can easily build online communities, teams, and groups. BuddyPress is a powerful, flexible & easy to use the plugin. It helps you to build a community website using WordPress, with member profiles, activity streams, user groups, messaging, and more. Zendesk Chat is one of the most popular live chat services freely available to download for WordPress website. It is easily installed and set. Zopim’s chat boxes are among the most stylish, with beautiful, customizable layouts and themes. It offers more feature and options for customization. 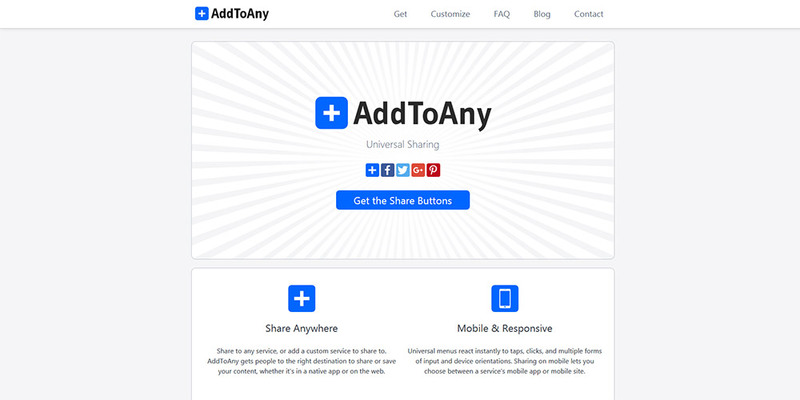 AddThis is known for our beautifully simple share buttons. We can simply add the functionality of Add This services to your wp website with it WordPress plugin. It offers a full suite of website tools like list builder, link promotion, and recommended posts, all for free! Shareaholic provides you with a comprehensive set of marketing tools to engage with your audience, get found across search and social, and grow your following. All of its service are free and you can easily integrate it into your website via its free WordPress plugin. With Max Mega Menu creating the mega menu for WordPress site becomes very easy. Its also comes with its free version with amazing feature and more option to set up a beautiful mega menu. This plugin enables you to make a WordPress page or post link to a URL of your choosing, instead of its WordPress URL. It also helps you to redirect readers visiting your old URL to the new one you’ve chosen. This Google Analytics for WordPress plugin enables you to track your site using the Google Analytics tracking code directly from your WordPress dashboard. The Nivo Slider is the worlds most popular WordPress slider plugin. It has a free or lite version of Nivo Slider WordPress plugin which comes with email support and more features. With this, you easily create a post slider, an image carousel or a slideshow, right from your dashboard, without settings that you don’t need. 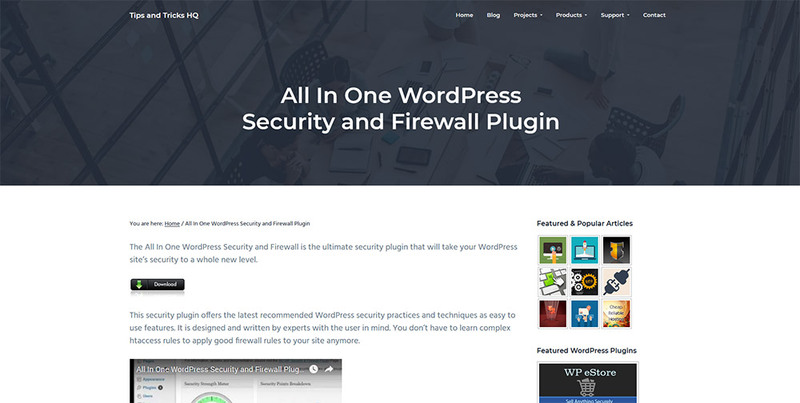 All In One WP Security & Firewall is a WordPress Security plugin for protecting your website from spamming & unusual login attempt. This plugin helps us to add some extra security and firewall to WordPress sites. Antispam Bee helps to blocks spam comments and trackbacks effectively, without captchas and without sending personal information to third-party services. It is easy to set up, free, 100% GDPR compliant and works seamlessly. UpdraftPlus is a backup and restoration plugin for WordPress. It is the world’s highest ranking plugin that features scheduled backup & has over a million currently-active installs. Backup your WordPress files and database backups into its safest cloud and restore with a single click. Breadcrumb NavXT, is a popular wp plugin & the successor to the also very popular WordPress plugin called Breadcrumb Navigation XT. This plugin generates locational breadcrumb trails for your WordPress powered blog or website. Breadcrumb trails generated by this plugins are highly customizable & has many options to set up for your running WordPress website. Disqus is the most popular commenting system used to increase reader engagement, grow audience and traffic, and monetize content. Disqus helps you to engage directly with your readers to build loyalty, retain readers, and foster thriving communities. It also offers signup wit social site for comment. bbPress is a WordPress plugin that adds forum functionality to WordPress. 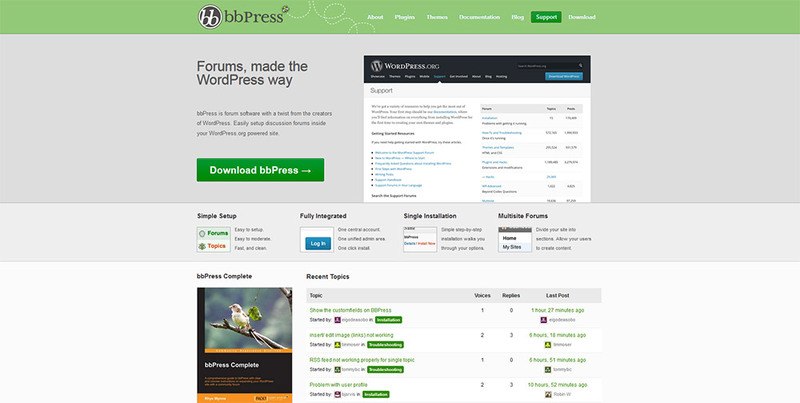 bbPress is used to create a Forum Website in WordPress. bbPress is open source & lightweight Forum making software. Ultimate Branding makes it easy to add a logo, site name, colors, and brand messaging. It also customized branding for the login screen, dashboard, & maintenance mode. User Role Editor provides you the functionality to Edit any existing role, create a new one, fill the selected role with capabilities which you need. You can easily assign new created roles or capabilities directly to the user. 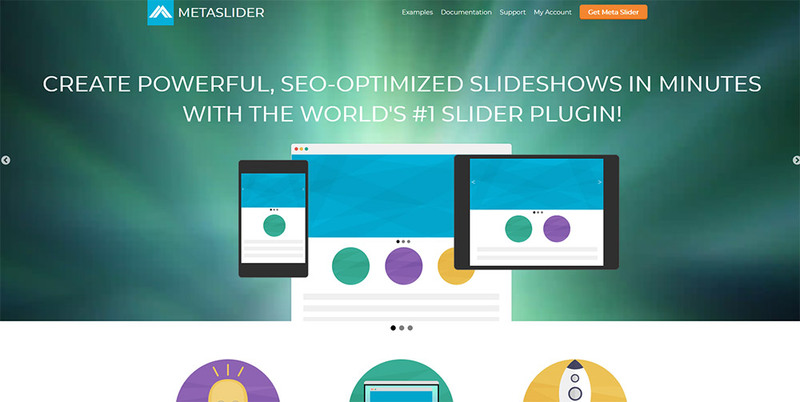 With Meta Slider, You can create powerful, SEO-optimized slideshows with just a few clicks. It is very popular, widely used free WordPress plugin. It powers with awesome features and also has options to add metadata for a slide for better SEO. This plugin allows your visitors to subscribe to your newsletter & make an email list via popular MailChimp list building. This plugin simplifies all to create good looking opt-in forms or integrate with any existing form with MailChimp. SEO Ultimate (free) is our powerful all-in-one SEO plugin. You can take full control of your on-page SEO with its user-friendly settings and modules for optimizing your titles, metadata, robots tags, canonicalization, auto-links, post slugs, social media markup and so much more. This plugin automatically publishes posts from your blog/website to your Social Media accounts such as Facebook, Twitter, Google+(Google Plus), Blogger, Tumblr, Flickr, LinkedIn, ok.ru, LiveJournal, DreamWidth, Flipboard, Instagram, Telegram, Line, Diigo, Instapaper, Pinterest, Plurk, VK.com (VKontakte), YouTube, Scoop.It, WordPress, XING etc. It automates the process of posting on its own. WP-Optimize is an easy to use tool for automatically cleaning your WordPress blog/website database so that it runs at maximum efficiency & optimize your website while reducing website size. This plugin allows website owners to globally disable comments on any post type (posts, pages, attachments, etc.) so that these settings cannot be overridden for individual posts. WordPress Download Manager is the best Documents Management Plugin to Manage, Track, Control File Downloads and also offers Complete e-Commerce Solution for selling digital products from your WordPress site. It helps a lot to manage your digital store. Is its name, it adds a useful login widget which you can use to log in. This widget can simply drag & drop to the sidebar, hence visitors can directly login via sidebar login form to your website. 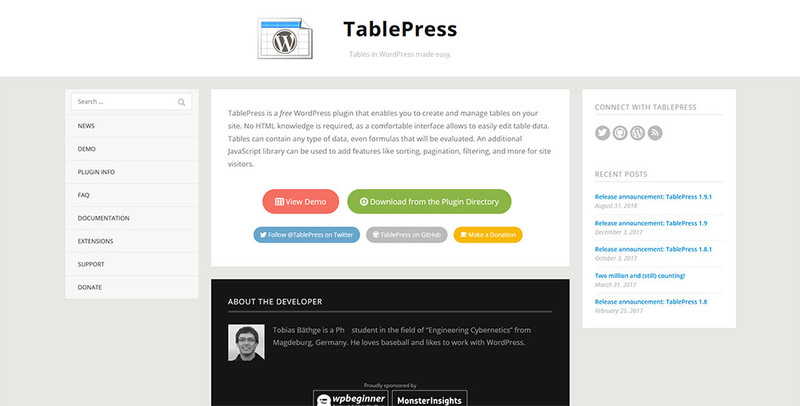 TablePress is a free WordPress plugin that enables you to create and manage tables on your WordPress side easily . It comes with many options & features more options for table customization. This plugin offers you to add a link in each product detail page, in order to add the products to the wishlist page. The plugin will create you the specific page and the products will be added in this page and afterward add them to the cart or remove them. Lightbox Gallery is a WordPress plugin that changes the standard view of galleries to the lightbox. Grand Flagallery offer's powerful image gallery for WordPress.It comes with more features & options for easy integration. Create Beautiful Coming Soon Pages, Skyrocket Your Email List & Limit Access to Your Website While Under Construction. It's a paid plugin, however, its offer professional option for customizing your website while it's under construction. Iframe shortcode is the replacement of the iframe HTML tag and accepts the same params as iframe HTML tag does. This plugin makes it simple to use iframe shortcode to embed content from YouTube, Vimeo, Google Maps or from an external page. Simple Social Icons is an icon pack plugin that is easy to use, customizable way to display icons that link visitors to your various social profiles. With it, you can easily choose which profiles to link to, customize the color and size of your icons, as well as align them to the left, center, or right, all from the widget form. It offers a comprehensive collection of Visual Components for WordPress. This plugin helps in eliminating wasting time in writing code. You just click and insert a shortcode. Smush is an image optimizing tools for WordPress. It is available for free. Setup is easy and it also offers many features too. 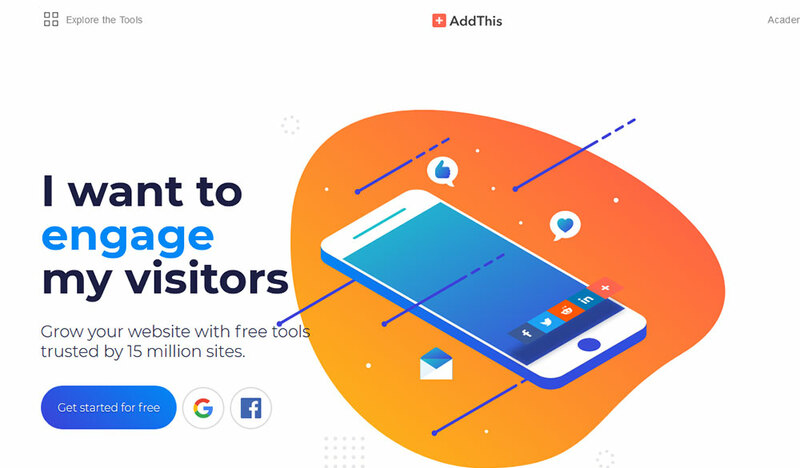 As its name its offer a pop-Up that allow you to grab the attention of your readers, grow your mailing list, keep users on your site longer and share targeted ad messages. It is easy to use, highly customizable, smart, responsive popup, and popovers on any WordPress site. 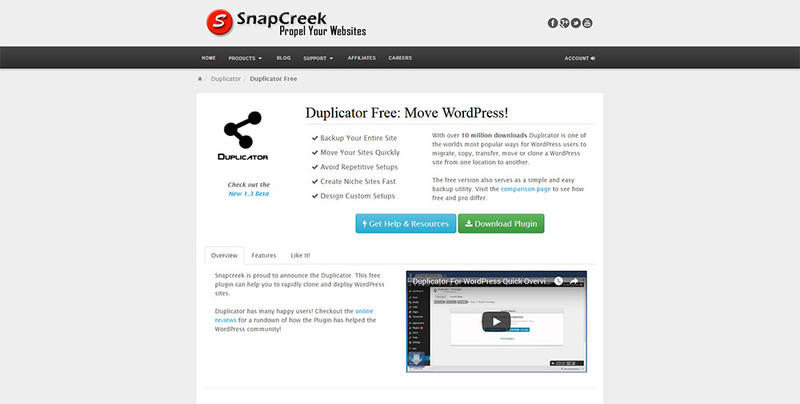 Duplicator makes it easy to create a backup of your website or migrate to another host or even local host. It creates a package that bundles all the site’s plugins, themes, content, database and WordPress files into a simple zip file called a package. This package can then used to easily migrate a WordPress site to any host. CommentLuv is a comment plugin that enables people to leave a link to their latest post underneath their comment. That will help you to engage people and raise more traffic to your website. SMTP (Simple Mail Transfer Protocol) is a WordPress plugin for sending emails. SMTP comes in play if you want to authentication mail server with another host regardless of own PHP server. SMTP helps increase email deliverability by using proper authentication. This plugin helps you to dd a customized Google map to your WordPress posts and/or pages quickly and easily with the supplied shortcode. This plugin lets you design your WordPress login page matched with the rest of your site design. your users will be presented with the login, registration and password recovery pages right within your theme. With this plugin, you can Add Video, Audio, Photos and Slideshow To Your Website and Emails Easily. No need to add a separate plugin for videos, photos,& slidshows. 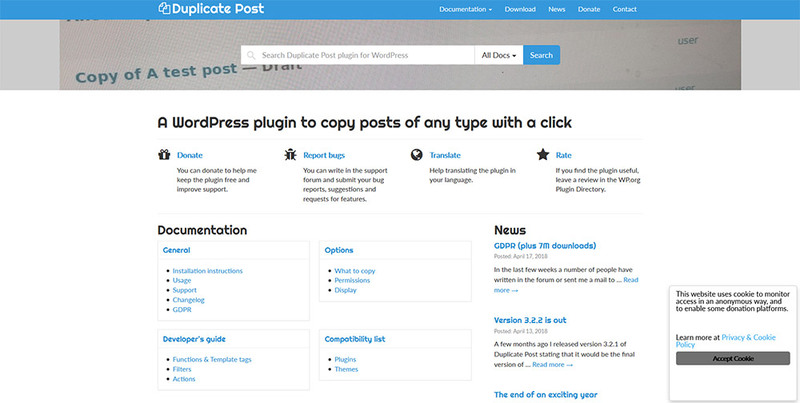 Duplicate post a WordPress plugin to copy posts of any type with a click. With this plugin, it becomes easier to copy the whole post within a single click with the same similarity. Squirrly SEO is another SEO WordPress plugin that supercharges your SEO rankings. It gives you a complete overview of SEO keywords, Strategy, Content, Analytics, Audit and Rank Tracking. WP Socializer is an all in one complete social media plugin for wordpress blog to add native social media buttons, icons, floating sharebar, follow us buttons, profile icons, mobile sharebar and selected text share popups easily with TONS of customization. Social sharing never become so simple and easy. Ninja Form is the most powerful, flexible, and easiest WordPress plugin for form building. It offers drag & drop form building for easy form making. With the easy digital download, You can sell digital products with WordPress. It may be from eBooks to WordPress plugins, to PDF files and more, or any other selling digital products becomes easy. With this plugin, You can reveal most removed entry IDs on admin pages, showing the entry IDs from the IDs that on all admin pages have been removed. PowerPress is free, easy to use WordPress plugin. It offers simple installation and its also optimized for all your podcasting needs. With WP User Avatar enables you to use any photo uploaded into your Media Library as an avatar. This offer you to use the custom avatar for your website. WassUp is a WordPress plugin to track your visitors in real time easily. It has a very readable and functional & modern admin console to keep tracks of your website reader. Relevanssi is defined as the advance searching plugin for WordPress. It gives you the flexibility to access and fully control the search, with plenty of filters. Relevanssi works the way you want your search to work. This plugin helps you to keep your old posts alive by automatically sharing them to all other social network and hence drive more traffic to them from these networks. It also helps you to promote your content. It offers you options to set sharing interval and number of posts to share to drive more traffic. MemberPress is a WordPress Membership Plugin. It is easy to use & setup & install. It allows you to instantly start charging your users for access to your content. This will help you to create, manage & track membership subscriptions of WordPress website and to easily sell digital download products. With this plugin, you can seamlessly integrate FancyBox into your blog.Its simple plug & play setup although it also offers some other additional option too for customization. It offers you to easily customize almost anything you can think about fancy box lightbox: the border, margin width and color, zoom speed, animation type, close button position, overlay color and opacity, and even more advanced option too. Smart Slider 3 is the most powerful WordPress plugin to create sliders easily. With this plugin you can create Fully responsive, SEO optimized and it works with any WordPress theme. This plugin offers you a Drag and Drop form builder to easily create amazing contact forms. It has many features like Drag and Drop Fields, Unlimited Forms, Multiple Column Support, 100% Mobile Responsive, ShortCode, ReCaptcha, Form Templates & Translation. This Plugin includes many styling options and offers you the functionality to automatically insert the buttons before and/or after the post content. It also features [shared_counts] shortcode to insert them into the content. With this plugin, you can easily add a responsive video gallery to your WordPress site. It comes with tops of features, infinitely customization & it's also light-weight. Really Simple CAPTCHA is created for Contact Form 7 originally. With this plugin, you can easily integrate CAPTCHA to form 7 forms. This plugin is widely used worldwide for creating and selling online courses. Easily create & sell courses, deliver quizzes, award certificates, manage users, download reports, much and more. 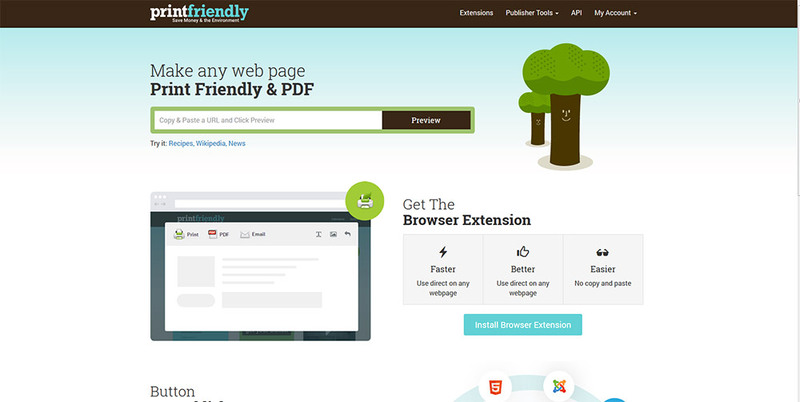 PrintFriendly allows you to download or share the content of the website in the form of pdf & emails. It produces optimized file by removes ads, navigation, and web page junk, so you save paper and ink when you print. Testimonials Widget offers you to randomly slide or list selected portfolios, quotes, reviews, or text with images or videos on your WordPress site. It comes with shortcodes, so can be placed anywhere on the website. This plugin allows you to set featured videos for your posts instead of featured images. It supports Html5, YouTube, Vimeo, and any other video types and services. Visual Form Builder is a WordPress plugin that allows you to build and manage almost any type of forms for your website. It is a fully drag & drop builder & it takes only a few minutes to create a fully feature wp form. This plugin lets you easily to create a landing page for your website. It offers you many paid & free template theme that you can use for your landing page within the WordPress environment. It also makes it easy to use A/B testing / Variant testing on the landing page and track the conversion rate. This plugin offers you to add custom post types, custom fields, and custom taxonomies to the WordPress admin. You can also maintain these plugins directly from your website. This plugin provides you with an easy way to create frontend user registration and login forms. It also offers you the same drag and drop functionality for creating and ordering forms extremely easy. The plugin is lightweight, dependable and can be used to create any type of registration form. With Bad Behavior, you have a whole new way of keeping your blog, forum, guestbook, wiki or content management system free of link spam. It is a PHP-based solution for blocking link spam and the robots. It ensures your site health & enhances its performance. It is another analytics plugin for your WordPress. It provides you the statistics on your WordPress visitors on the got right to your wp dashboard. It is easy to use, set up and also offers customized option. Custom Post Type UI offers you an easy to use, friendly interface for registering and managing custom post types and taxonomies for your website. This plugin solves the problem of creating custom post types. The EWWW Image Optimizer is an image optimizing plugin that will increase your page speeds by way of image optimization. Increased page speeds can result in better based on seo.and will also improve conversion rates.